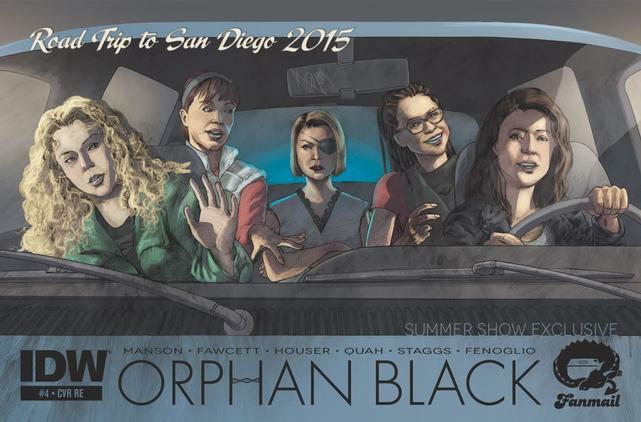 In cooperation with IDW & CineQuest.com, FanMail is proud to present an exclusive San Diego Comic Con Orphan Black #4! With an exclusive cover by Alan Quah, and written by John Fawcett, this issue focuses on Alison Hendrix, a typical soccer mom with a typical husband and two adopted children. But she also happens to be a clone in pursuit of her origins. Orphan Black co-creators Graeme Manson and John Fawcett expand on the clone saga with all-new material exclusive to the comic books.